Water Hardness in Tampa, FL? The effects of hard water that you see in your kitchen, shower and appliances. What you don't see should consern you the most (Flaky Skin, Freezy Hair and Chlorine Smell). 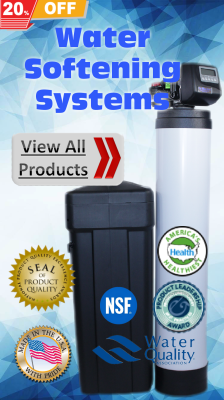 Having a health conscious water softening system not only will protect your assets but also your health! We all dealing with hard water in Tampa homes! No one like this, right? Hard water doesn’t allow the water being used to clean as effectively at it should because of the mineral, heavy metal and chemical content in the water. The best solution to this is a SPWTS high efficiency 4 in 1 water softener system! Why is a water treatment system important to you in Tampa Bay? For protection of apliances, plubming and your family's health! The awnser is "YES". A Custom Built water treatment system will remove the calcium and magnesium but also harsh chemicals and heavy metals from the water source so that the water you use is trully clean. Only Clean Water will perform the cleaning tasks and promote healthy living for you and your family. Call Simply Pure Water Treatment Systems Tampa today. We can show you how a better water softner can benefit you in your home. Like to have the best water for your family at the best price in Tampa Bay, FL? Simply Pure Water Treatment Systems is your best choice for Water Filtration, Water Purification & Well WaterTreatment Systems in Tampa, FL. Start By Scheduling a Free Lab Water Test HERE!